Not a whole lot to report on the garden, as we don't have anything that's going to produce much this year, but I figured it was time for an update. 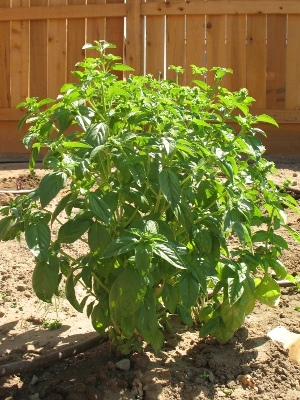 The basil is doing quite well, and we've been using it in a lot of our meals. I also have some dill and cilantro growing, but they're coming up pretty slowly. 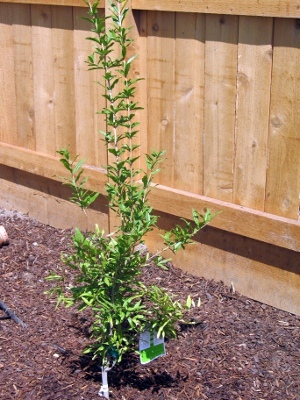 In addition to our lime and lemon trees, I picked up a pomegranate tree. 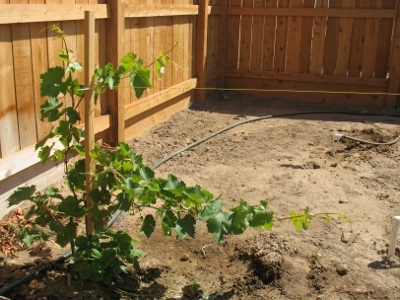 The grape vines are doing well, and is climbing across the wire in this picture. I'll probably add another two, so we'll have a total of four of them in the garden.